Kitchens - AYMCO CONSTRUCTION, INC.
At Aymco we can provide you with everything from flooring, lighting, cabinets, countertops, sinks, faucets and hardware. Our professional remodeling consultants will help your vision become a reality. We will be here for you from the time of the initial consultation to the completion of the project. 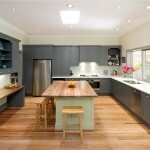 Let us help you design and create a new kitchen for your lifestyle and your budget.